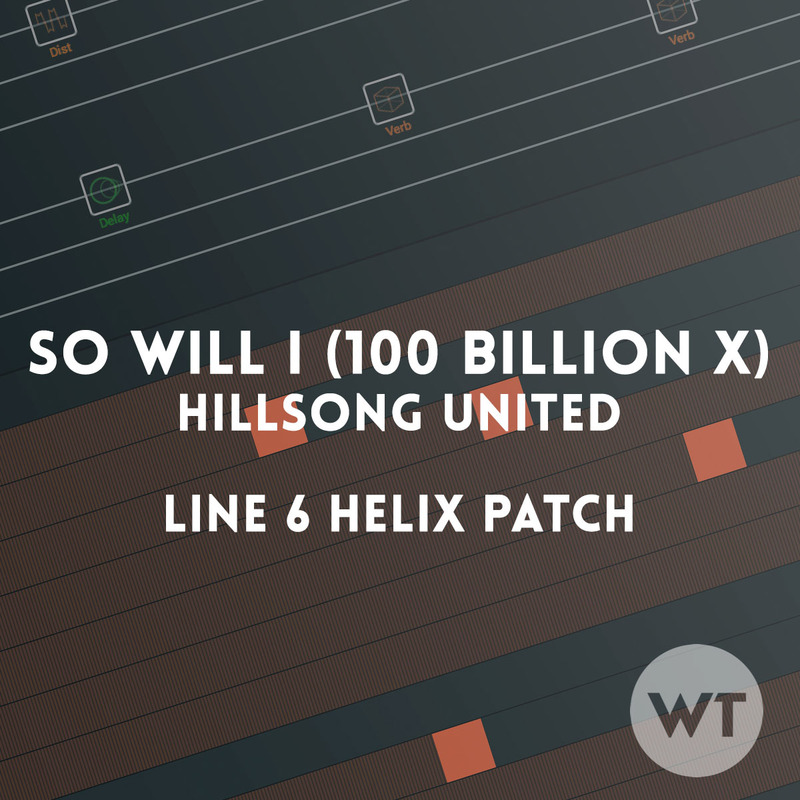 Line 6 Helix patch for the song So Will I (100 Billion X). Organized into snapshots, you can get the sounds from the album at the push of a button. 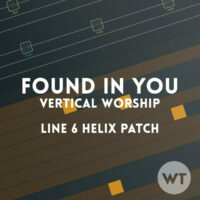 You get two different patches – one using an IR Cab by LiveReadySound, and the other using stock cabs. The IR is not included. LRS M2 ATyp SM7b 02 (from the Live Ready Sound A Type 2×12 pack found here). In our Helix, it’s in IR slot 49. SNAPSHOT 1: INS/VS/CH. This is the main tone for the intro, verses, and chorus sections if you do the finger picking part. SNAPSHOT 2: CH ALT. If you’d like to play the higher part in the chorus (as demonstrated in the 2nd chorus in the play through video), use this sound. SNAPSHOT 5: RHYTHM. This isn’t in the song itself, but if you’d like a basic rhythm sound, it’s there. SNAPSHOT 8: SWELLS. This is another sound that is not in the song itself but is useful to have in a live worship environment. Because this is a song-specific patch, it will work best in Snapshot mode (using all eight snaps). You can use it in stomp box mode, but the delays and reverbs are very specific to this song and may not translate well to other songs. All guitars are different, so you may want to make changes to suite your playing style and guitar. We set this up with a variety of guitars, including both single coils and humbuckers. If you have higher output humbuckers, you might want to turn down the gain on the amp(s), or, alternatively, turn down the output on the first compressor – this will hit the amp(s) with less signal.